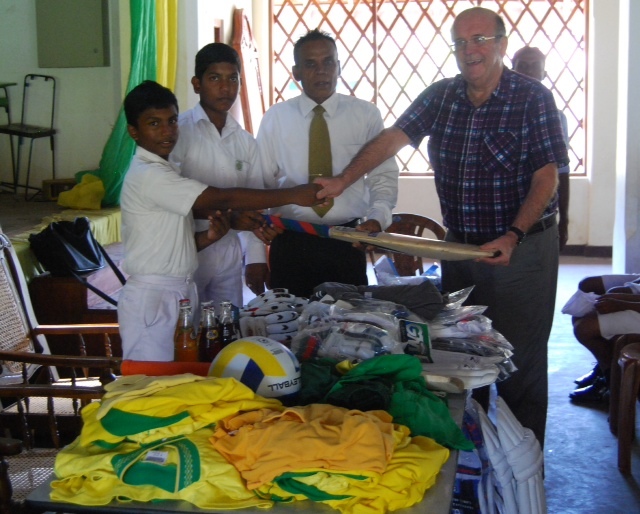 Friends of Project Sri Lanka collected over 75 kilos of sports and educational materials that were distributed to schools in the Weligama area by Trustee Scott Weightman. Warwickshire County Cricket Board and Rugely Cricket Club donated over a thousand pounds worth of cricket equipment. Other contributions included badminton, soccer and volleyball equipment, educational materials, books, toys and re-conditioned laptop computers. Scott and his friends visited Sri Sumangala and Siddhartha Colleges during early May to present these donations. Both schools were delighted with these contributions from supporters of the Charity.